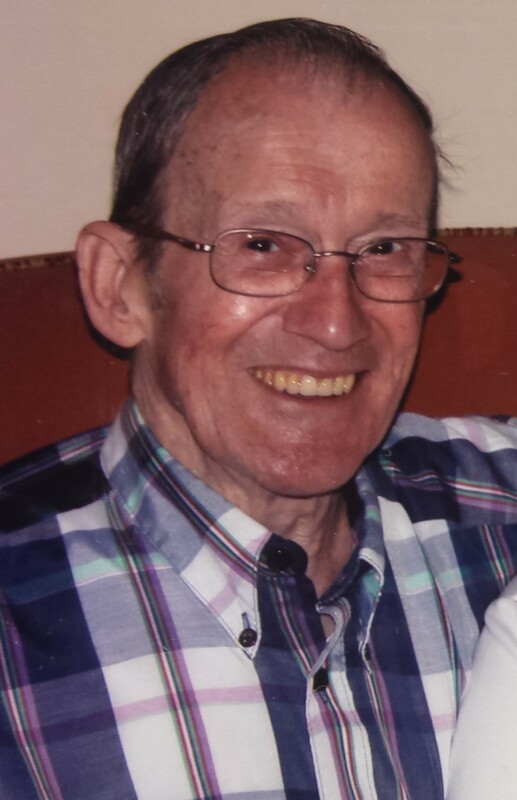 James Oliver Ploof Sr. passed away peacefully at home surrounded by his loving family on October 5, 2014. He was born December 29, 1931, to Raymond J. and Dorothy L. (Gelinas) Ploof. He graduated from Cathedral High School class of 1949. He proudly served in the U.S. Army. On a stroke of brilliance he married Beverly J. Randall, on his birthday, December 29, 1954. He gave 32 years of dedicated service to First National Stores, and he also worked for McAuliffe Office Products, Aubuchon Hardware, with his son Jim at Small Engine Parts, and in his favorite job of 60 years as a loving husband and father. He operated many bingos to raise money for the Knights of Columbus, the Elks club, St. Joseph Co-Cathedral, and Our Lady of Grace Catholic Church. He attended St. John Vianney Catholic Church. Left to cherish his memory are his beloved wife of 60 years, Beverly J. Ploof; his children and their spouses: Jim Ploof (Sherry), Elaine Fay (Jon), Ron Ploof, Donna Agan (Craig), Brenda Peyko (Tim), Brian Ploof (Lori), Kevin Ploof (Rose Goodman) and Theresa Randall (Jim Morrill); 19 grandchildren; 18 great-grandchildren, brothers Richard (Barbara), Raymond (Norma), Charles, Edward (Doris), Patrick (Violet); sisters Lucy Ploof, RSM, Pam Gagnon (Joseph) and Marjorie Limacher (Arthur) extended family; and friends. He was predeceased by his son Steven J. Ploof Sr., in 2003; brothers Leo, Calvin and Oliver Ploof; and sisters Helene Thayer, Phyllis Devoid and Catherine Couillard. Visiting hours will be held on Thursday, October 9, 2014, from 4 to 7 p.m. at the LaVigne Funeral Home and Cremation Service, 132 Main St. in Winooski. A Mass of Christian Burial will be celebrated on Friday, October 10, 2014, at 11 a.m. at St. John Vianney Catholic Church on Hinesburg Road in South Burlington. Internment will follow the service at Resurrection Park Cemetery. In lieu of flowers, memorial contributions can be sent to the Visiting Nurse Association or Hospice of the Champlain Valley, 1110 Prim Road, Colchester, VT 05446. Jim's family would like to extend a special thank you to Dr. Robert Luebbers; Dr. Anne Morris; the staff at Fletcher Allen, especially Chrissy Henry, Julie Hart, and Jamie King; Ann Laramee of Palliative Care; the staff at LaVigne Funeral Home; in-laws Alyce and Rheal Morin; special friends at Bayside Bakery; and all those who were able to spend time with him. Condolences can be shared with the family online at lavignefuneralhome.com.